Do you even know if you have mold? That is a question often asked by residential and business owners alike. More often than not, mold may not be able to be seen but does create a special smell that is sometimes overwhelming when there is major mold damage. Actually, mold is a normal part of the environment and is part of the process of breaking down dead organic outdoor elements such as leaves and dead flowers or even trees. When mold is indoors, then it becomes a serious problem and will require a professional mold remediation team to make sure it’s removed quickly and efficiently. The scariest factor about mold is that when it is spore format, it is impossible to see and if disturbed during the mold removal process, it can be extremely toxic if not deadly. Mold typically needs two resources to keep growing and stay alive. 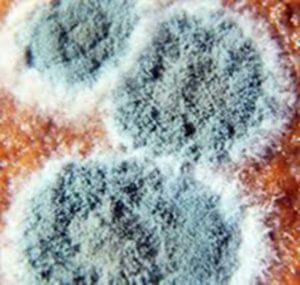 The items necessary to keep mold alive are moisture and some type of food source. You would be surprised to find out how easy mold is produced and especially common in geographical areas where there is a high level of humidity. Mold remediation is extremely important as mold that is left untreated causes a dangerous environment. Not only is Las Vegas Environmental Pros the mold removal professionals, but they are also certified in finding mold that may be invisible to the eye. There are several different symptoms that individuals can have to happen during severe mold contamination. They include a runny nose, eye irritation, itchy and red eyes, problems getting full breaths, coughing and wheezing, tightening in your chest, congestion, skin irritations, itching, and throat irritation. Mold damage can be extremely detrimental to infants and if exposed for long periods of time can result in chronic diseases such as asthma. Mold is truly a respiratory problem and can really be a serious problem with everything from a residential property to a large commercial building. This is why it Is so important to have the mold restoration process done by none other than a certified, professional company. Las Vegas Environmental Pros has made sure that all of their mold restoration staff members are highly trained and certified in the mold removal field. We take every step to make sure that not only the mold is contained and everyone is clear from the mold, but we really go the extra steps in mold remediation to ensure our team is protected in every way possible. We take mold removal serious and we cannot be careful enough to make sure safety is always first. 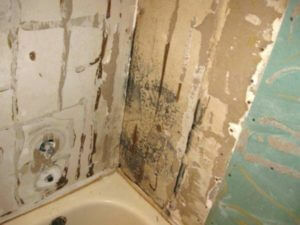 The process of mold remediation is a long one. One of the first steps in mold removal is finding the source that is feeding the mold. Sometimes this is quite a long task as finding the supply that is creating the mold can be areas you don’t pay attention to or even able to see. In our mold remediation, we take all the precautions and investigate every possible area where mold could be a factor. Areas, where mold can grow, are most likely where you would never look. Mold can grow behind drywall, under wallpaper, under floor tiles or wood floors, under the carpet and in carpet padding, in walls where there are water pipes that may have the smallest little leak. Our mold restoration team has found mold in some cases where there wasn’t even suspected mold contamination. Once the mold is located, that’s when the mold removal process actually starts. The number one item to be done is to make sure and contain the mold damage area so that it is no longer to be transferred through the air by the spores that are from the mold. It is at this point that dust control is done and performed by our mold remediation highly trained crew. After the mold is contained and the mold removal process takes place, it is now time for the appropriate disposal of the mold into special air-tight bags in order to transfer the mold out of the property without any further contamination. Our mold restoration team then utilizes our professional and commercial grade cleaning products to thoroughly clean and sanitize all of the mold damage areas. Once the areas are completely dry, the mold remediation team takes the next steps in testing for any further mold and making sure that the mold is visibly removed. The cost of mold restoration can be a costly one as sometimes areas have to be demolished to further attack the mold damage. You can expect to pay as little as a couple of hundred dollars for a residential mold remediation project, or as high as thousands of dollars for a commercial mold restoration job. 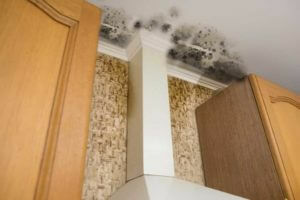 Due know that mold removal is typically covered under home insurance and commercial property insurance as well. 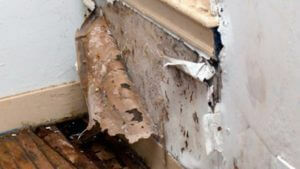 Our friendly billing staff is always eager to assist any mold remediation project with insurance companies. Las Vegas Environmental Pros has a long-term relationship with major insurance companies in the mold removal business and is most likely a pre-approved vendor for your insurance company. As with all of our professional projects that we provide services for, we will always provide you or your business with a fair mold remediation estimate. We know what it takes to make a mold removal job a success and we know how much time to allocate to each job. That’s why all of our jobs are always on time and always on budget. Our team at Las Vegas Environmental Pros has been doing mold remediation and asbestos removal for over 20 years and we have worked on everything from small residential jobs to extremely large commercial and hospitality projects. We are the experts in mold removal and your go-to company for mold remediation projects. We serve the entire southern Nevada area including North Las Vegas, Las Vegas, Henderson, Boulder City, Mesquite, and Laughlin. Remember, if you suspect that you may have mold damage, timing is of the essence and it is important to start the mold remediation process sooner rather than later. Your health is important and can be in severe danger leaving mold and not hiring a professional mold restoration company. We’re here to help and don’t hesitate to call today for your free mold removal estimate.